What is a Legacy Estate Plan? A Legacy Estate Plan is a plan that is customized by Esser, Bradley and Khalsa, in Sedona, Arizona to fit your estate planning needs. Our estate planning attorneys will work with you during a FREE consultation to discuss the specifics of your estate and your desired manner of distribution. Based on our conversation, Esser, Bradley, and Khalsa and our estate planning lawyers will draft a specific legacy estate plan for your needs that will include both your lifetime estate plan as well as your long-term after life estate plan. Legacy Estate Planning is unique to Esser, Bradley and Khalsa in Sedona. Our practice concentrates on estate planning. It is what we do. And it is the only thing we do. That is why we know estate planning better than anybody else. Our estate planning attorneys work with you to develop a Legacy Estate Plan that fits your specific needs. We personally prepare all of the documents needed to support each step in the process. And when the time comes, we are here for your family. When you work with the estate planning attorneys at Esser, Bradley and Khalsa, you get more than just an estate plan: you get peace of mind. We have experience in all aspects of estate planning. A Legacy Estate Plan created by the estate planning attorneys at Esser, Bradley and Khalsa in Sedona gives you the confidence you need that all aspects of your estate have been carefully and properly handled by an attorney. So when the time comes, your estate will be distributed the way you want, and your family will be taken care of they way you want them to be. What happens if I don’t make a lifetime estate plan? A lifetime estate plan anticipates your end-of-life needs. It is an essential part of our customized Legacy Estate Plans at Esser, Bradley and Khalsa. It includes the preparation and execution of certain Powers of Attorney that allow you to nominate someone to make financial and medical decisions on your behalf if you become incapacitated. The need to have such documents in place is much more critical than it sounds. The risk of not executing such Powers of Attorney could lead to horrendous results, like being kept alive artificially and stuck on feeding tubes for years! A great example of this was the highly publicized case of Theresa Marie (“Terri”) Schiavo. Terri never executed any of her lifetime estate planning documents. She had no Legacy Estate Plan, which would have included her lifetime estate planning documents. As a result, when she went into a coma and suffered brain damage and was unable to make decisions for herself, the hospital attached her to feeding tubes and kept her alive artificially. After three years of trying traditional and experimental therapies, her husband accepted the neurologists’ diagnosis that Terri was in an irreversible persistent vegetative state and asked that the feeding tubes be removed so that she could die peacefully. He believed that Terri would not want to be kept artificially alive. Her parents disagreed and wanted to keep the feeding tube attached. This disagreement between Terri’s husband and her parents became a full blown court battle that lasted TWELVE YEARS, involved 14 appeals; five lawsuits in federal district court; political intervention at the levels of the Florida state legislature, Governor Jeb Bush, the U.S. Congress, and President George W. Bush; and four denials of certiorari from the Supreme Court of the United States. And all the while, poor Terri was artificially kept alive with feeding tubes. For 12 years! Do not let that happen to you. At Esser, Bradley, and Khalsa, your estate planning lawyers in Sedona, we offer free consultations to discuss these and other matters. Call us now to set up your free consultation to discuss your desires and elect the loved ones who you would want making those kind of decisions for you. It depends on your circumstances and what are your desires for your family. The difference between a will and a trust depends on the monetary dispositions that you have. A will leaves money or property to your friends or family outright. This means they will receive any monies left to them as one lump sum. A trust essentially functions as an instruction manual for the distribution of money or property. The money and property that “funds” the trust are held in trust for the beneficiary (person who benefits from the trust) and distributed as you direct. You can specify what the money is for and allow distributions only for that purpose. You can also add limitations on how much money is to be distributed over certain increments of time. Another benefit of a trust is for creditor protection. Any monies held in trust will not be accessible to creditors. See more regarding this topic in our blog. Typically, we recommend wills for clients who do not have young children and trusts for those who have young children or other family members that they want to be sure are taken care of over time. Sometimes we have clients with family members who need money right now to be budgeted for them. See more about that below. 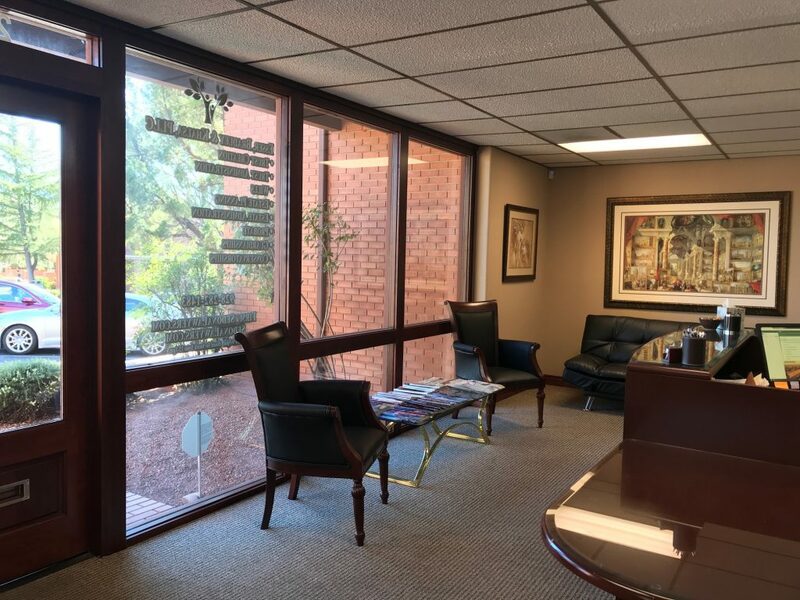 At Esser, Bradley and Khalsa, where we have premier estate planning attorneys in beautiful Sedona, all of our Legacy Estate Plans are tailored to each client and their circumstances, so you can be as specific or as general as you would like to. What happens if I do not execute a will or a trust? If you fail to execute a will or a trust, you risk having the state make your decisions for you or having whatever money and property you leave, spent on probate and never going to your loved ones at all. Too many times families come in arguing about who should get what because there was no will. That leads not only to family strife, but to families spending thousands of dollars to have the estate probated where it can get mired in a prolonged and unnecessary court battle. Come to see us and we can help you sort through what is important to you. Do not subject your family to feuds over property or money when they need to grieve and support one another. At Esser, Bradley and Khalsa in Sedona, where we draft Legacy Estate Plans, we can help you put your thoughts and desires into words and make it official so you can avoid any probate issues. How often should you update your estate planning documents? We recommend updating your documents every three to five years. The reason for that is because most banks will not accept a General Durable Power of Attorney, which grants an agent the right to control your finances, that is more than three years old. Moreover, as time progresses, your relationships change. It is important to re-evaluate the persons you have essentially entrusted your life decisions with. It is imperative that you ensure that those persons still have the same functionality in your life; and if they do not, then we need to update your documents. At Esser, Bradley and Khalsa located in beautiful Sedona, AZ, Legacy Estate Plans are our specialty and we offer affordable rates for estate planning updates. A Special Needs Trust is a particular type of trust that is used for the care of a loved one or family member who needs additional oversight. Special Needs Trusts are made specifically for the benefit of disabled or mentally ill persons who lack the mental capacity to manage their own finances. It is created with the person’s specific needs, lifestyle, and future in mind. Sometimes, a family needs to care for their loved one, but also needs some distance from that process for the safety of the relationship. When that happens, we design a trust that allows the family members to put money in safe-keeping for their loved one and then a trustee is appointed to manage those funds for the family member in need. 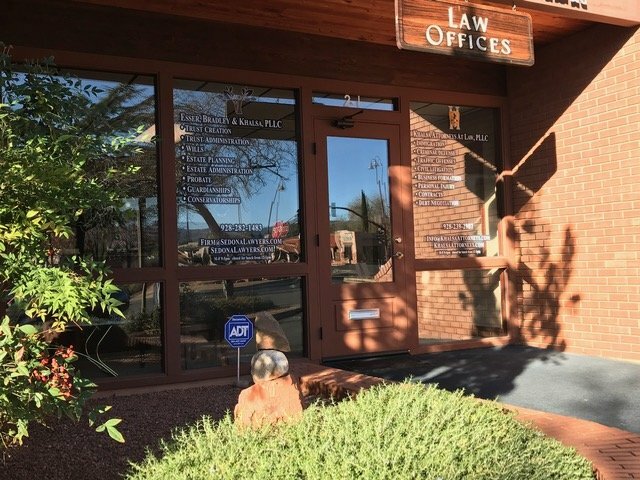 If you are facing a similarly difficult situation, come see us at Esser, Bradley and Khalsa in Sedona, AZ where our estate planning lawyers can discuss the best way to set up your Special Needs Trust and we can also provide trustee recommendations as well. See our FAQs to learn more about a will vs. a trust. We can help you frame your desires and avoid probate! Specify how you want your estate to be distributed to your loved ones. Learn more about trust here FAQs . If you recently lost a loved one and are dealing with sorting out their estate come see us. We can relieve your stress and guide you through the process. If you are grieving over the loss of a loved one, come see us and let us handle the legal aspect of distributing their estate. If you have a loved one who has lost the ability to make decisions for themselves, we can help you gain the rights to make better decisions for them. Too often they are taken advantage of. Put an end to that and come see us today! When you have no rights over a loved one’s estate, you need a conservatorship. We can help you with that process.